While Huawei skipped the MWC19 for a separate launch event later this month in Paris for the unveiling of its P30 smartphones, the company did launch the foldable Mate X which portends very serious competition to ‘s Galaxy Fold which was presented i February. Although both devices unfold into a table, the manner of implementation is what makes the differences. While both devices are a nice concept, the Galaxy Fold instantly received a lot of backlash from Huawei in particular who believes Samsung pattern of the foldable design was dead on arrival. Huawei Ceo was quoted as saying “I feel having two screens, a front screen, and a back screen makes the phone too heavy”. 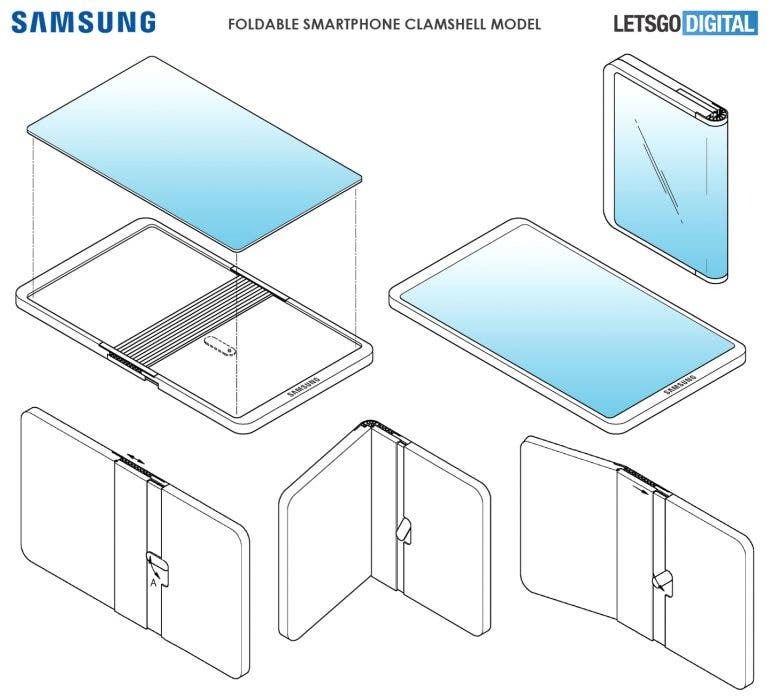 Like we said earlier, both devices are nice innovations, so the question of whose design is best remains unanswered, that might not last long, however, as Samsung is now reportedly working on two more foldable devices, even though the Galaxy Fold is yet to hit the shelves. Of the two rumored devices from Samsung, indications have emerged that Samsung might go the way of the Mate X in terms of the design. A new Samsung patent recently spotted by LetsGoDigital (translated) reveals what the upcoming Samsung foldable smartphone might look like. 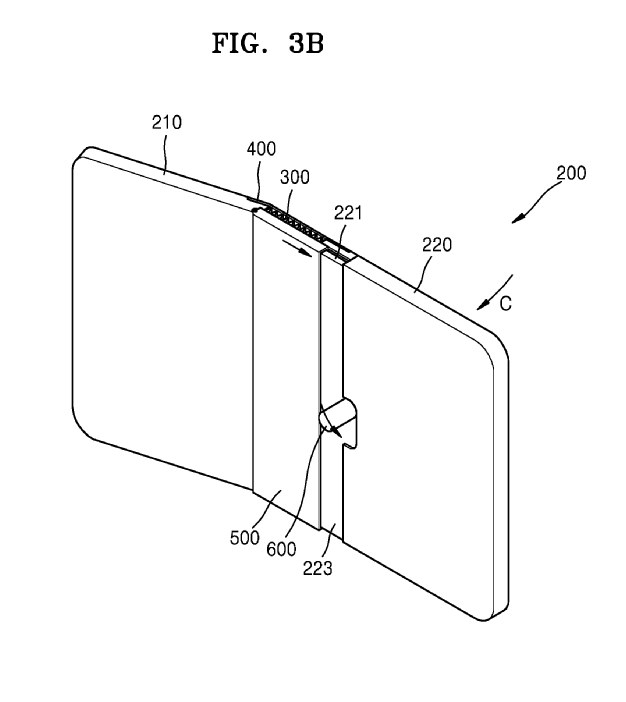 We can’t say when this will materialize, though the concept looks like a nice improvement over the Galaxy Fold. First off, this one looks way more compact, and from the schematics, the new design appears to include hinge in the middle and a slider lock at the back which allows the device to extend into full-screen mode and prevent some sort of unwanted folding when in the tab mode.